This removable, 3X-enlarged, horizontally sectioned eye features a two-part choroid with iris and retina, the clear plastic lens and vitreous humor. 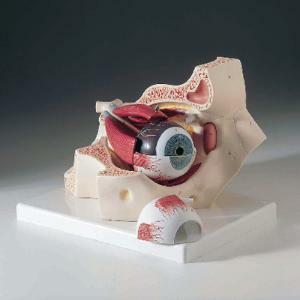 The tear duct and the intraocular muscles are also shown. The seven-piece model is mounted on a base.